RS has offered a wide range of RS PRO tubing and hose products for many years, but this launch represents a significant pneumatic portfolio extension. 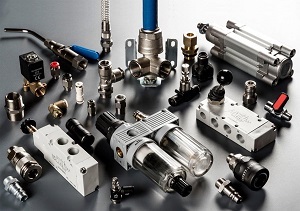 Offering a significant value-for-money alternative and available directly from stock, more than 1000 products have been added to the RS portfolio, including cylinders, actuators and valves including solenoid types, as well as a range of air-preparation and air-treatment devices and a wide range of fittings and quick connect couplings. Shipping now in the EMEA and Asia Pacific regions, the pneumatic components have undergone strict testing to meet demanding industry standards and come with the RS PRO seal of approval and a three-year warranty. RS Components and Allied Electronics & Automation are the trading brands of Electrocomponents plc, a global multichannel distributor. We offer more than 500,000 industrial and electronic products, sourced from 2,500 leading suppliers, and provide a wide range of value-added services to over one million customers. With operations in 32 countries, we trade through multiple channels and ship more than 50,000 parcels a day.